Client management is found under the Invoices tab within the dashboard. The table view shows the most recent associated invoices and estimates. Important note: When clients are created using “Add Client” on the client tab, new WordPress users are also created and given the “client” role. 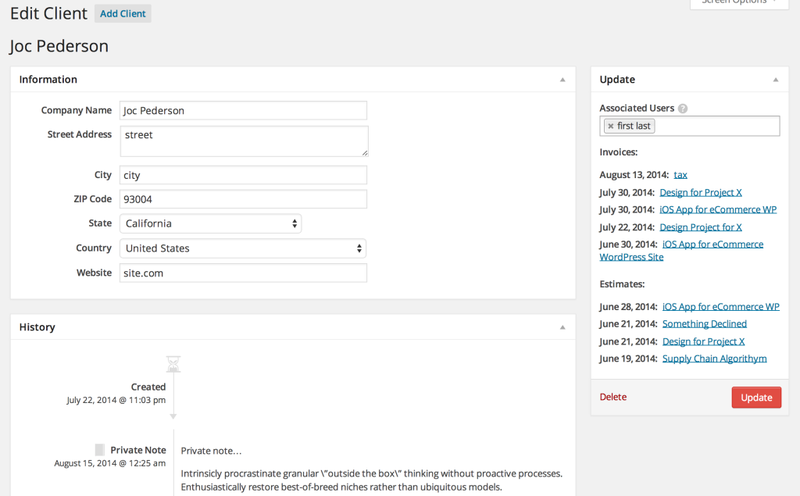 When clients are created using “Add Client” on the client tab, a WordPress user is created and associated with the new information. Clients are not limited to a single user; not limiting a client to a single user allows for you to have multiple points of contact at/for a company/client. The recipients for sending estimate and invoice notifications are these associated users. 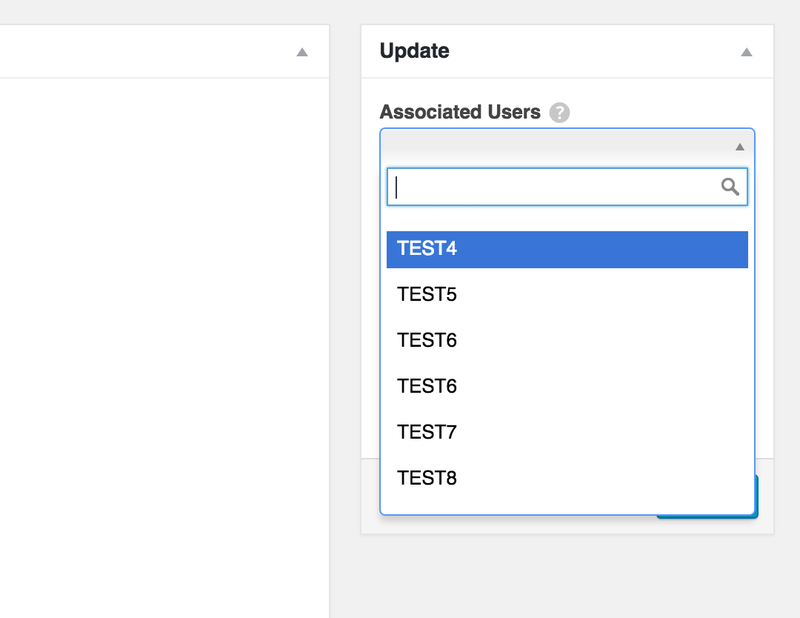 To associate a client with existing users, simply click the dropdown menu under “Associated Users,” and select the users. 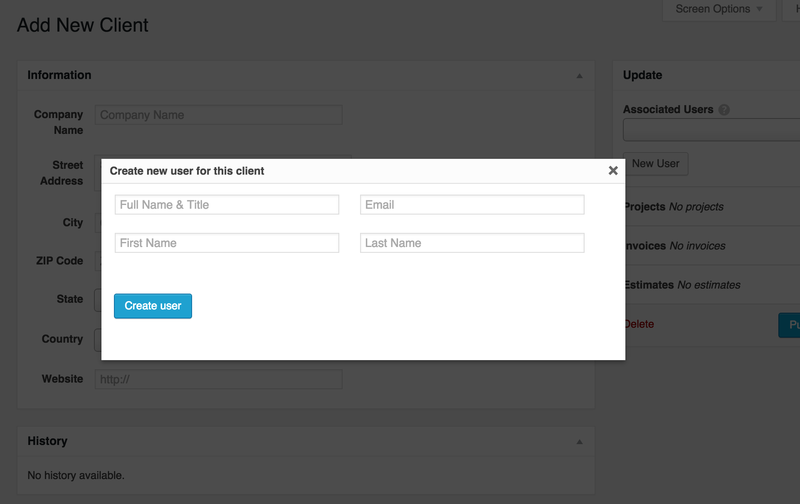 To create a new user for the client, click “New User” under “Associated Users.” Fill in the required information, then create user. Important points are shown in the client history. Additionally, there is a text area at the bottom of the history section for private notes. You can add a project, status, or any other information that is only visible to you and your team. All invoices and estimates associated with the client are shown below the associated users option. This provides a quick way to view the record you need to see.